Phillip Adams, AO is an prolific and sometimes controversial Australian writer, broadcaster and public intellectual. He has hosted the ABC’s Late Night Live, four nights a week for 21 years, he’s billed as the ‘godfather of the Australian film industry’. Adams’ many producer credits include The Adventures of Barry McKenzie, Don’s Party, The Getting of Wisdom, Lonely Hearts and We of the Never Never. His board memberships have included the Australia Council, Australian Film Institute, the National Australia Day Council, the Museum of Australia, Greenpeace Australia, CARE Australia, the Australian Children’s Television Foundation, Film Victoria and the Anti-Football League. He was co-founder of the Australian Skeptics and currently chairs the Advisory Board of the Centre for the Mind at Sydney University and the Australian National University. 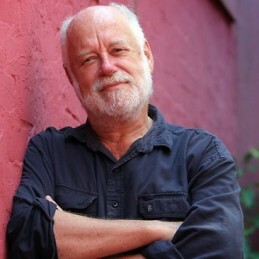 Honours awarded to Adams include two Orders of Australia, the Senior ANZAC Fellowship, the Australian Humanist of the Year, the Republican of the Year 2005, the Golden Lion at Cannes, a Walkley award, a UN Media prize, four Honorary Doctorates, the Centennial Medal and the Responsibility in Journalism Award at New York University. In 2006 he received the Human Rights Medal from the Australian Government’s Human Rights and Equal Opportunities Commission. In 2008 he was appointed an Honorary Fellow of the Australian Academy of the Humanities. A ‘minor planet’ was named in his honour by the International Astronomical Society. He was also honoured as the ‘Worst Dressed Man in Australia’ three years running by Mode magazine.